In this college day in my life vlog, I’m going to a rainy day of classes and going on a tour of the Florida Supreme Court! It was fun to be filming this vlog to include the tour of the Supreme Court building. 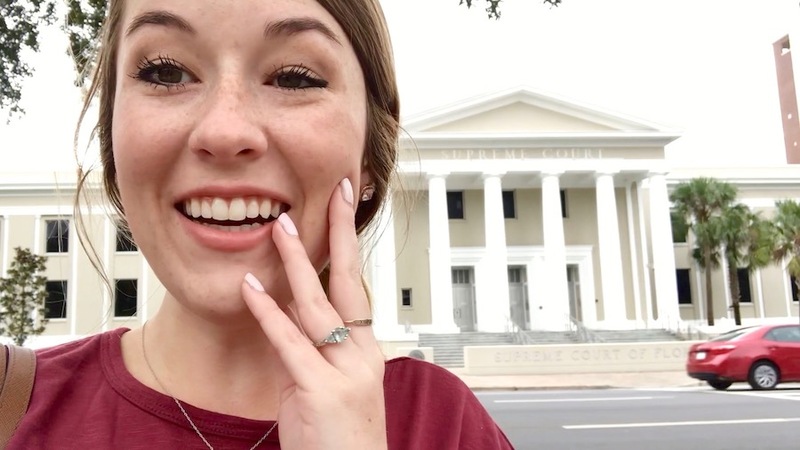 As I mention in the video, I had the chance to go on a private tour (with just 3 other students) of the courthouse through the Honors Legal Scholars program with FSU college of law! I’ve got just a few more weeks to keep filming these ‘college’ days in my life… so I’m trying to keep them coming! I like filming these type videos to show what college real life looks like on a daily basis. Touring the Supreme Court was such a cool opportunity and a great experience from living in Florida’s capital city. I’m all about exploring your own city! I spent some time planning out some exciting Christmas content (for my first attempt at ‘Vlogmas’) this week. And I’ve already started filming the first few videos! I’m not usually ready for Christmas this early in the year, but I have an extra long list of things to look forward to, including lots of fun blog and YouTube content. As always, thanks for supporting my blog! I hope you’re having a nice day!